All of the 4th classes have been receiving guitar lessons from Don for the past 6 weeks. 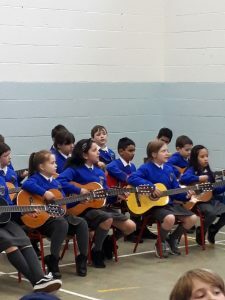 The classes have really enjoyed the lessons and a few intend to keep practising the instrument now that the lessons are over. 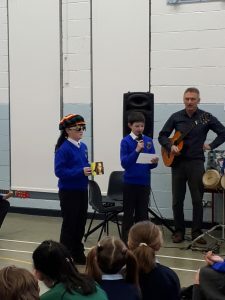 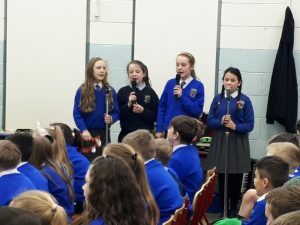 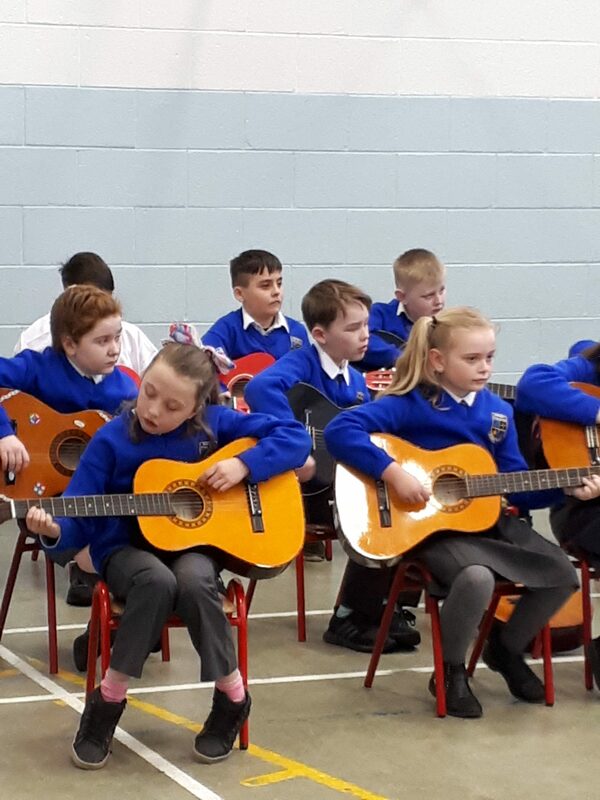 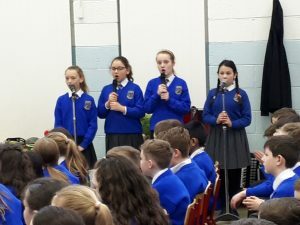 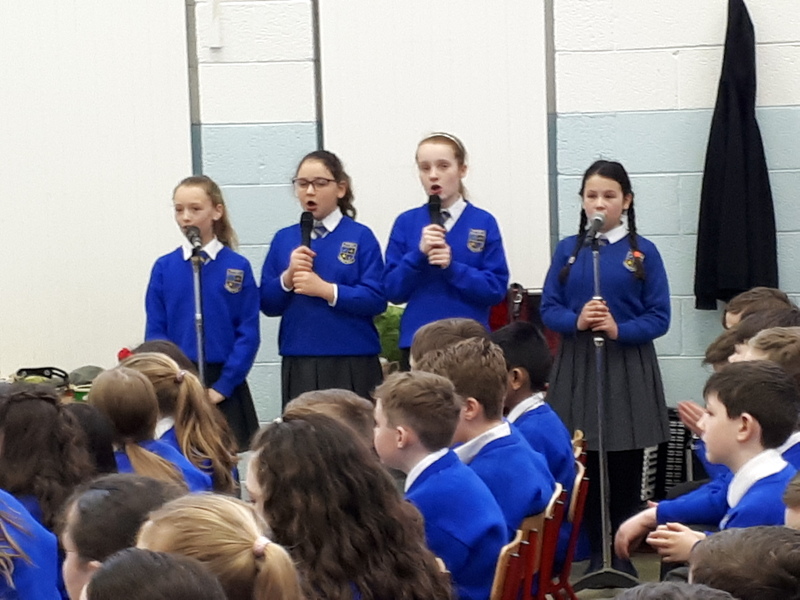 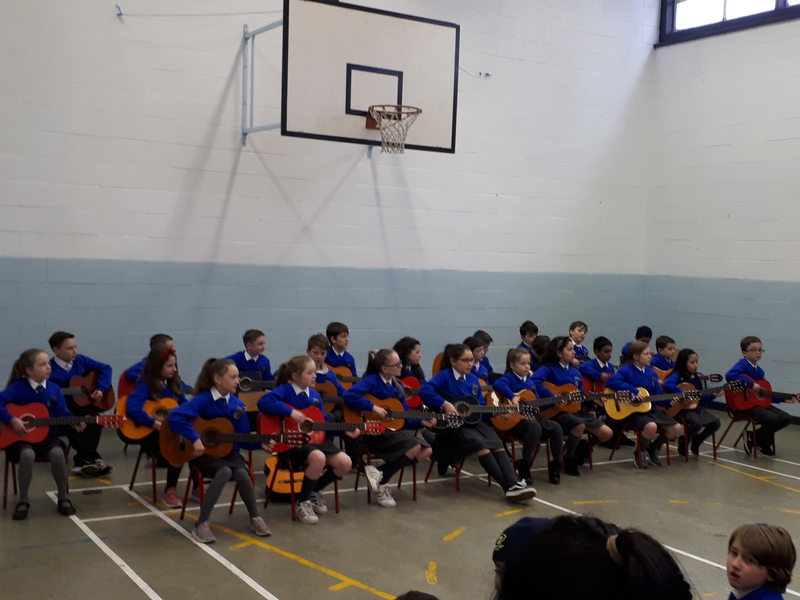 Don showed a great amount of understanding and patience over the past few weeks and also encouraged the children to use their other talents of dance, singing and percussion to make the guitar concert more dynamic and enjoyable for all. 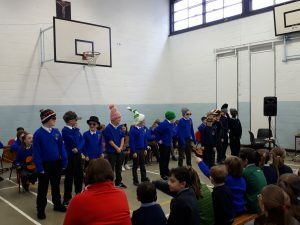 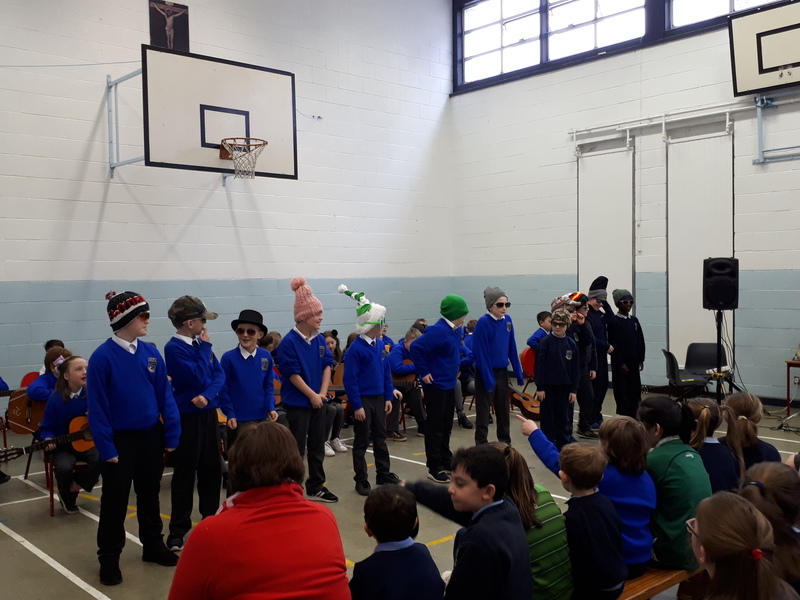 Below are some of the performance they gave to their parents last week. 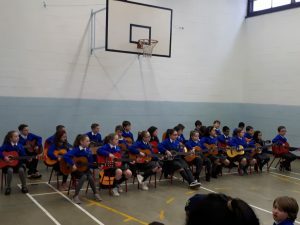 Thank you to all who turned up on what was an extremely wet and miserable day.